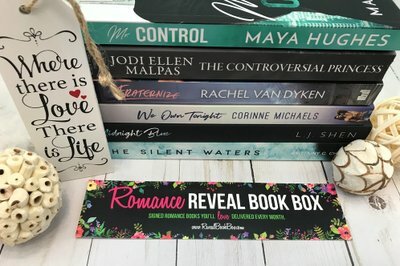 Enter your email address below to receive a notification when Reveal Book Box starts accepting new sign-ups! 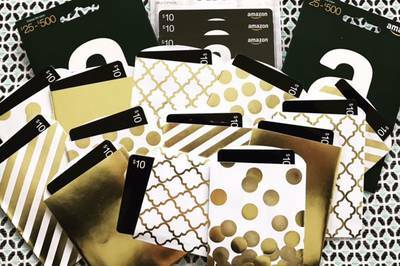 Enter your email address below to receive a notification when Reveal Book Box is accepting new sign-ups again. Just got my first box - it took a while to get because it had been sold out when I first found it - and I love it! Two fresh new softcover romance novels that are MODERN (as in contemporary). This matters to me because in other book clubs who claimed to have a romance genre, I was sent historical and alternative "romance" books that I was totally disappointed in. 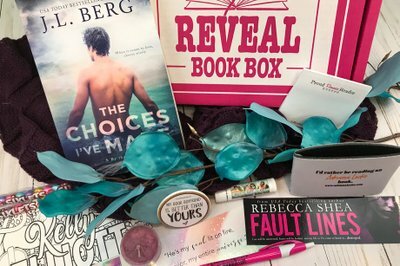 To me romance should be what THESE books are in the Reveal box so I am happy. I also love all the goodies that came with this: a pen, a bookmark, 2 candles, 2 candies, and a great lip balm. I don't have much use for the author coloring card & I'm not sure what the appeal is in sending that (I'd rather get some other type of gift like the others) - but I love this box so far overall! Also the books are signed by the authors which is a nice touch. 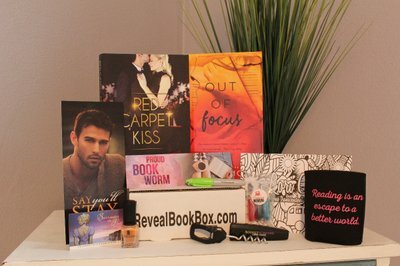 I absolutely love getting my romance reveal box each and every month. Nice and reasonable price. I have been getting the 2 book box for over a year now and I have never been disappointed. I love that it introduces me to new authors and they are all signed. I have never received a duplicate copy and I enjoy the little extras that are included. I highly recommend this book subscription and being able to skip a month or cancel at anytime you have nothing to lose. 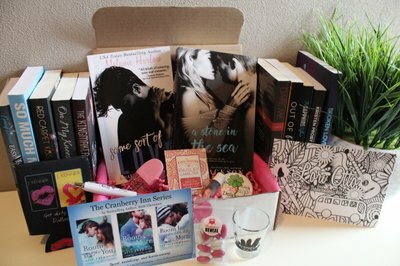 2-Book Box contains 2 signed paperbacks, bookish swag, an author-inspired coloring card, candy, and a tea light candle. 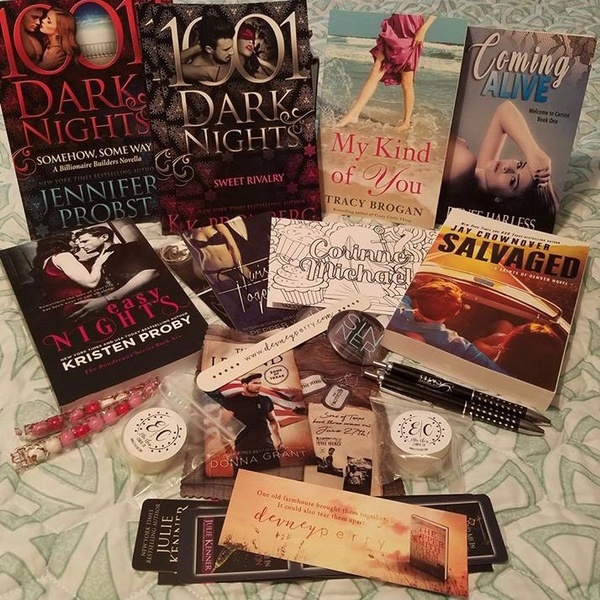 Signed paperbacks, swag, and lots of other goodies! 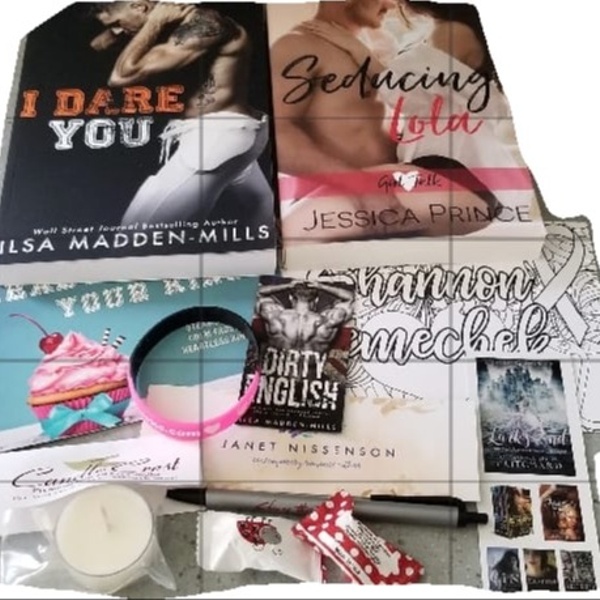 4-Book Box contains 4 signed paperbacks, bookish swag, an author-inspired coloring card, candy, a tea light candle, and a bonus book!